Rabinowitz, Renée S., 93, died Sunday, July 15, 2018 peacefully at her at home in Cumberland, surrounded by family and friends. She was the beloved wife of the late Sidney Rabinowitz. Born in Toronto, a daughter of the late William and Doris (Thorton) Stephen, she had lived in Rhode Island for nearly 50 years. 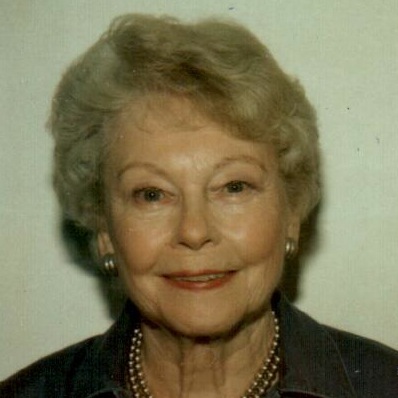 She graduated from Eastern High School of Commerce in Toronto, and was an executive secretary of B’Nai B’Rith in Toronto and New York for over 10 years, until retiring in 1965. She is survived by her sister Shirley and her nephew Michael, both of Toronto, and several Grandnephews. Funeral services will be held Wednesday at 1:30 p.m. in SHALOM MEMORIAL CHAPEL, 1100 New London Ave., Cranston. In lieu of flowers, contributions in her memory may be made to RI SPCA, 186 Amaral St., Riverside, RI 02915. Shiva will be private. For online condolences, please visit ShalomMemorialChapel.com. RenE’e had the unique gift of reaching out to take your hand and also touching your heart. My condolences to all those who loved her. Renee was always so lovely with all of the attorneys and their families with whom Sidney worked.